Below you fill find all funeral homes and cemeteries in or near Half Moon Bay. Suburbs of Half Moon Bay: Princeton by the Sea. 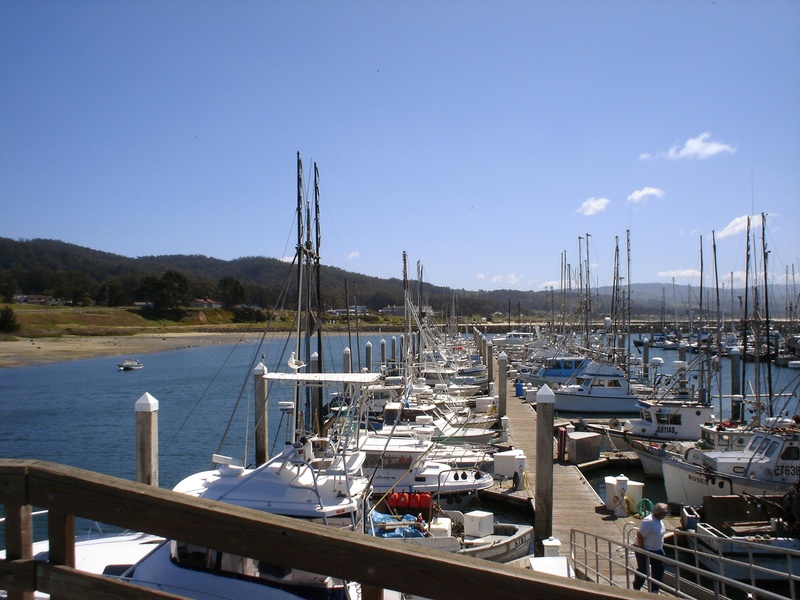 Half Moon Bay is also known as: San Mateo County / Half Moon Bay city. Their current mayor is Mayor Magda Gonzalez. Zip codes in the city: 94019. Half Moon Bay has been featured in films like: Birdemic: Shock and Terror (2008). Some of the notable people born here have been: Katherine Sigismund (actor). It was reported on September 24th, 2017 that George Iver Wennerberg died in Half Moon Bay, California. Wennerberg was 65 years old and was born in Des Moines, IA. Send flowers to express your sympathy and honor George Iver's life. It was written on July 5th, 2017 that Serafine J Cardoza passed away in Half Moon Bay, California. Cardoza was 89 years old. Send flowers to express your sorrow and honor Serafine J's life. It was reported on June 14th, 2017 that Fraser Andrew Outten passed away in Half Moon Bay, California. Outten was 69 years old and was born in Fort Lauderdale, FL. Send flowers to share your condolences and honor Fraser Andrew's life. It was reported on June 8th, 2017 that Lloyd James Connors perished in Half Moon Bay, California. Connors was 69 years old and was born in Salt Lake City, UT. Send flowers to express your sympathy and honor Lloyd James's life. It was revealed on May 31st, 2017 that John Anthony Dooley perished in Half Moon Bay, California. Dooley was 70 years old. Send flowers to share your condolences and honor John Anthony's life. It was disclosed on May 31st, 2017 that Anita Jean Dumont (Gravance) passed on in Eugene, Oregon. Ms. Dumont was 86 years old and was born in Half Moon Bay, CA. Send flowers to share your condolences and honor Anita Jean's life. It was noted on May 16th, 2017 that Eugene P "Gene" Pardini perished in Half Moon Bay, California. Pardini was 77 years old. Send flowers to share your condolences and honor Eugene P "Gene"'s life. It was reported on May 16th, 2017 that Florence May "Flo" Sparks died in Half Moon Bay, California. Sparks was 60 years old and was born in Long Island, NY. Send flowers to share your condolences and honor Florence May "Flo"'s life. It was reported on May 9th, 2017 that Angela "Diva" Marcheschi died in Half Moon Bay, California. Marcheschi was 97 years old and was born in Colle Di Compito, . Send flowers to express your sorrow and honor Angela "Diva"'s life. It was revealed on December 7th, 2016 that Sigrid White (Hagelthorn) passed on in Half Moon Bay, California. Ms. White was 69 years old and was born in Dearborn, MI. Send flowers to express your sorrow and honor Sigrid's life. Real growth in the area came after World War II with the construction of numerous subdivisions, eventually leading to the incorporation of Half Moon Bay in 1959. The city preserves a historic downtown district which includes historic buildings dating as far back as 1869. Spanishtown was officially renamed Half Moon Bay in 1874. During Prohibition "rum runners" took advantage of dense fog and hidden coves in the area to serve a number of roadhouses and inns, some of which operate today as restaurants. Half Moon Bay is a coastal city in San Mateo County, California Mateo County, California, United States Its population was 11,842 as of the 2000 census. This beach is one of my favorite spots along the coast between Half Moon Bay and Santa Cruz ... The photograph above from the California Coastal Records Project shows how San Gregorio Creek forms a small estuary just behind the beach. Find a Funeral Home inHalf Moon Bay, California CA to provide the caring burial and ceremonial services your family deserves. Crosby, John - Miller Dutra Coastside Funeral, Half Moon Bay, CA : Reviews and maps - Yahoo! Local, 650.726.4474. Get Ratings, Reviews, Photos and more on Yahoo! Local. Cremation Services in Half Moon Bay, CA on Yahoo! Local Get Ratings & Reviews on Cremation Services with Photos, Maps, Driving Directions and more. Florists inHalf Moon Bay, California. Providing only the finest flowers for your special occasion. We work with local florists and flower shops to offer same day delivery. You will find budget sympathy flowers in Half Moon Bay here. Our funeral flowers are cheap in price but not in value.